RSPB Coombes Valley reserve is a delightful oak woodland – especially in spring and early summer when lots of migrating birds come to breed at the reserve. Birds you may see on the steep valley sides include flycatchers, redstarts and wood warblers. There are a wide variety of butterflies to spot too. In winter, redwings, fieldfares and winter finches are regular visitors. 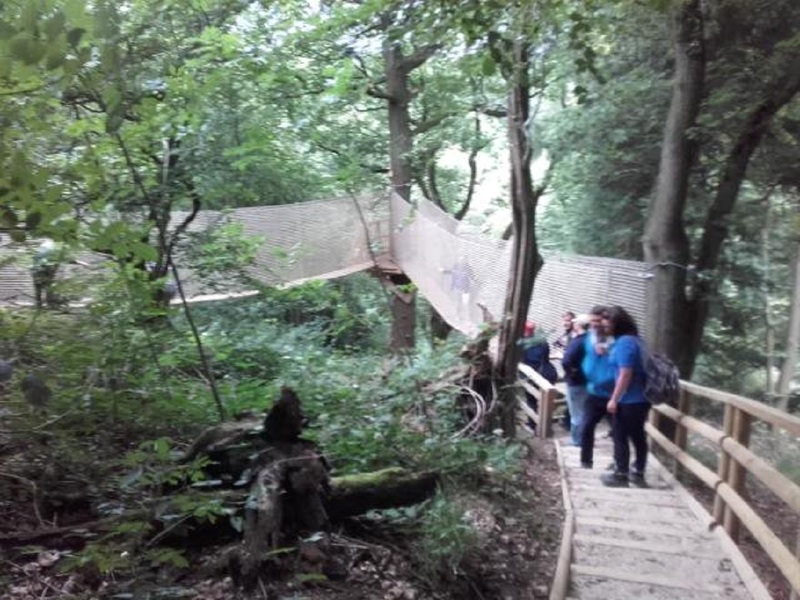 There's a fascinating nature trail here so the reserve is a good place for people of all ages to get closer to nature, although the footpaths are steep in places. Reserve open daily (except Christmas Day), 9 am to 9 pm or dusk (last entry two hours before closing); information centre open weekdays and weekends during busy periods, closes at 5 pm (closed Christmas Day). The public rights of way are open at all times. RSPB members free, £3 per car for non-members. No dogs allowed, except registered assistance dogs. Even dogs on leads can negatively impact wildlife, so generally dogs are not allowed on the reserve. However, they may go on the public footpaths, but not the paths which interlink these. Please keep dogs on a lead or under close control on the public footpaths. Registered assistance dogs may go on any of the trails. Can you add some information to the Guide? If so, you can easily send it to us using the form on this page. We review all submissions and add them to the guide as soon as we can. If you're passionate about the Churnet Valley area, we'd love you to join our growing team of community editors and share your knowledge and love of the area. Get started today - become a contributor.